The latest iteration in the Nemeziz collection has arrived with a bang- and it’s a thing of beauty. Is there anything more satisfying than the sight of a player twisting and turning his way through a lax defence? You might argue that the Northern Lights, a gorgeous sun rise, or the opening credits to Game of Thrones are the most beautiful things the human eye could ever witness. However, we’d swiftly counter with a few choice videos of Lionel Messi carving his way through defences like it’s all some kind of surreal magic trick- and you’d soon be lost for words. Messi has always been much more than a football player, though. He’s “the King” in Barcelona and adored in his native Argentina, while children (and even current professional footballers) dream of one day being able to mirror his talent and achievements. When all’s said and done, there’s little debate about the fact that the Argentine magician is the greatest player of all time. 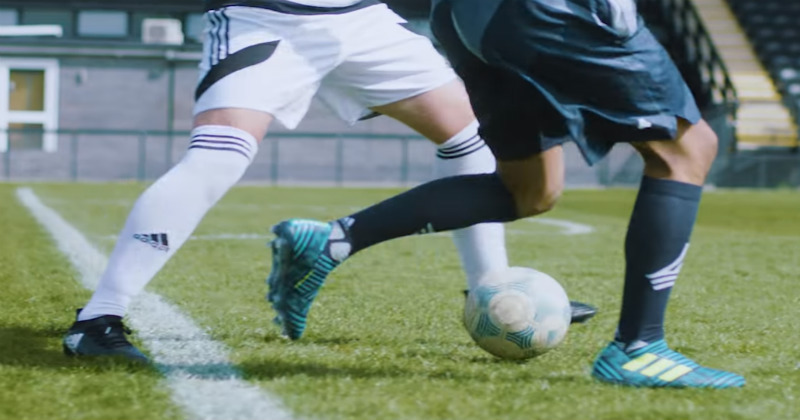 Well, now Adidas have released a pair of football boots that have been tailored for players that fancy themselves as something of a mini-Messi. 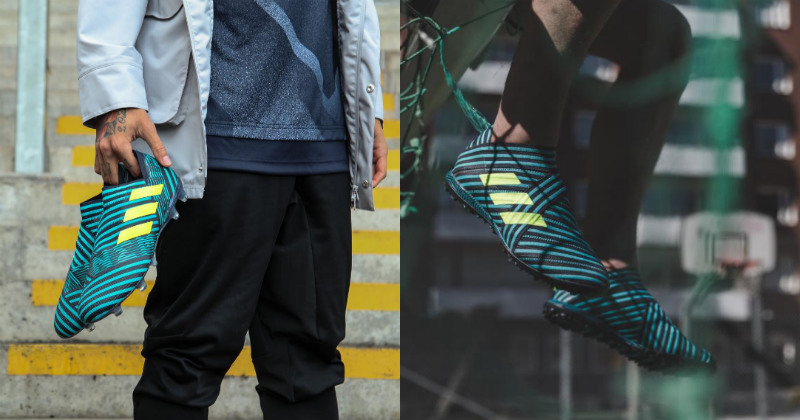 The Nemeziz 17 was released earlier this month, and it’s fair to say that people have been going absolutely crazy for them. After having a much closer look at them ourselves, it’s not hard to see what all the fuss is about. Utilising the brand-new AGILITY KNIT 2.0, the Nemeziz 17 boots mean that wearers will always be able to find the perfect fit. Not only does this provide an unprecedented level of comfort, it also allows players to complete unexpected twists and turns, making them ideal for anyone that wants to bamboozle defenders with their radical movements. This perfect fit is reinforced by the introduction of the revolutionary TORSION TAPE, which is a new piece of boot technology that’s part of the 360 AGILITY BANDAGE SYSTEM. When you put this together with the ankle stability and ultralight TORSIONFRAME, these boots can really provide you with everything you need to work yourself into that extra yard of space. 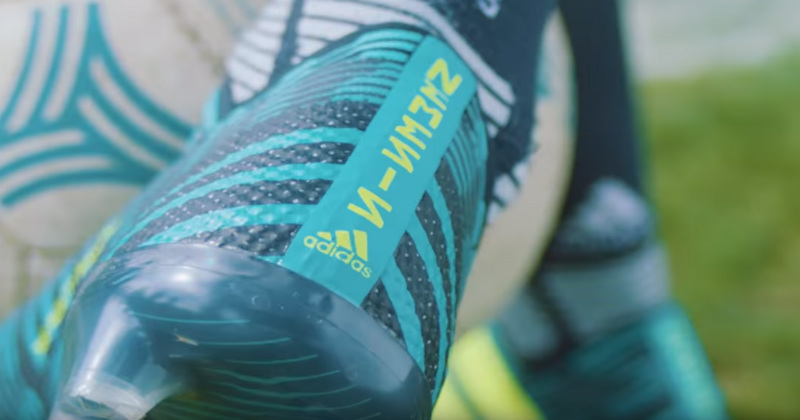 The Nemeziz 17 is the latest addition to the already-iconic Adidas “Ocean Storm” pack and, unlike the other boots in the collection, it comes complete with a flashy design. The dazzling aqua and black stripes combine to create one of the most eye-catching releases of the summer, and it’s safe to say you’ll certainly have no trouble spotting them on the pitch throughout the season. The Ocean Storm #NEMEZIZ, worn by Roberto Firmino. Players such as Lionel Messi, Romelu Lukaku and Roberto Firmino look set to start the season in these bad boys, and we simply can’t wait to see what they can do in them. 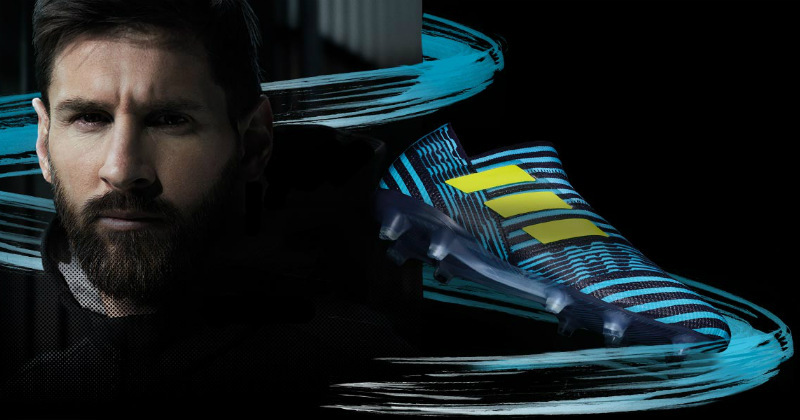 Of course, Messi has got his own signature edition, but they’ve got all the same basic features as the Nemeziz 17 that looks set to be worn all around Europe this season. If you’re looking to score out of nothing and to take your opponents completely by surprise, then this latest Adidas release could be just what you’re looking for. The team here at FOOTY.COM were even invited to attend the special adidas Nemeziz Uprising event in Old Billingsgate earlier this week. We were able to see these boots in action as we were shown tricks, skills and the new champions of the Tango League! It was a great night and the Nemeziz really do look incredible when they’re in action- especially when we got to see Little Pea himself showing them off in the flesh! The Nemeziz 17 is available now on FOOTY.COM through a range of retailers, so the next step towards greatness is just a click away. We scour the internet to find you the best deals on football boots online, so go ahead and snag yourself a bargain today!